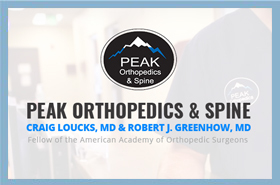 Dr. Loucks is a founding partner in both Peak Orthopedics and more recently Integrative Performance Institute. He started in private practice here in Denver in 2003 and has developed a very busy and successful Hip and Knee Practice. He treats athletes of all ages with surgeries ranging from cartilage transplants to arthroscopic knee ligament and cartilage repair. Patients from all ages with a variety of conditions benefit from his expertise in Minimally Invasive Hip and Knee Replacement and complex joint revisions and reconstructions. In 2004, he and his partner Dr. Rob Greenhow were the first surgeons in the Denver area to perform Anterior Minimally Invasive Hip Replacement Surgery (AMIS). In fact, every hip replacement he has performed since has been through the Anterior approach, now numbering in the thousands! He has pioneered Outpatient Total Joint replacement and has been successfully performing minimally invasive outpatient hip and knee replacement since 2013. Dr. Loucks is very fortunate to be an International proctor, lecturer and teacher of these techniques all over the world including Europe, Australia and North America. In addition, he is a design surgeon for Medacta International, creating new instruments and products developed to improve surgical techniques and ultimately outcomes for patients. In conjunction with Dr. Greenhow and their European colleagues he developed the MyKnee system allowing surgeons to improve accuracy, sizing and alignment while performing knee replacements through less invasive approaches. Dr. Loucks received his undergraduate in Life Sciences (B.Sc.Hon) and Masters of Science degrees at Queens University before receiving Medical Degree, with honors, from the University of Calgary. He then completed a prestigious Orthopedic Surgical Residency at the University of British Columbia, in Vancouver, Canada, serving as the Chief Resident in his final year. He is board-certified in Orthopedic Surgery as both a Fellow of the Royal College of Physicians and Surgeons of Canada and through the American Board of Orthopedic Surgeons. 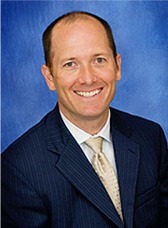 He relocated to Colorado in 2003, where he completed an AO Trauma Fellowship at St. Anthony’s Central Trauma Center in Denver and founded Peak Orthopedics with Dr. Greenhow in 2005. In the past, he has served as a consultant and teacher for hip and knee procedures for Zimmer and Conformis. 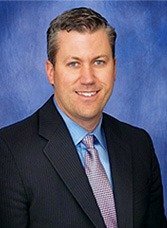 Dr. Loucks is the past Chairman of Orthopedics at the Medical Center of Aurora and the previous Chief of Orthopedics and Neurosurgery at Sky Ridge Medical Center. Hear about the minimally invasive anterior approach to hip replacement from Drs. Greenhow and Loucks as seen on Colorado & Company. Click here if you are interested in learning about a less-invasive partial knee replacement that is custom made just for you. Please visit Dr Loucks's personal website www.craigloucksmd.com for more information. Lone Tree, CO USA 80124.